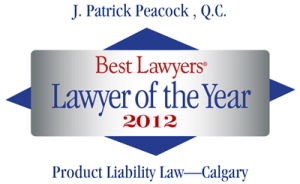 Pat is one the founding partners of Peacock Linder Halt & Mack LLP. 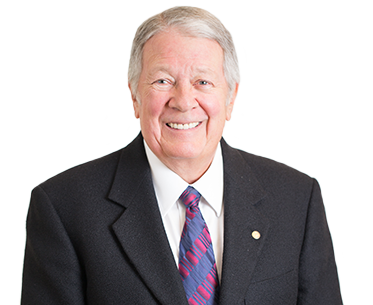 He has practised law as trial counsel and regulatory counsel for over 40 years. 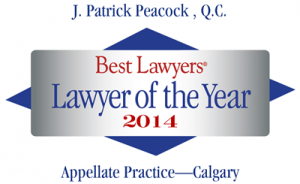 He is a Past-President of the Canadian Bar Association, and a Fellow of the American College of Trial Lawyers. Pat has conducted trials and appeals in all levels of the courts in Canada including the Provincial Court of Alberta, the Court of Queen’s Bench of Alberta, the Court of Appeal of Alberta, the Court of Queen’s Bench of Manitoba, the Ontario Superior Court of Justice, the Supreme Court of the Northwest Territories, the Federal Court of Canada, and the Supreme Court of Canada. In addition to general commercial litigation Pat has extensive experience in insurance and casualty claims, primarily in the products and design field. He has prosecuted and defended claims involving the professional liability of architects, engineers, contractors and accountants. 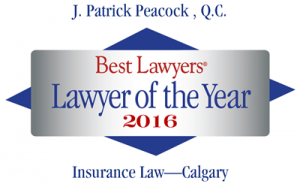 He continues to act as counsel for the Law Society of Alberta and its insurers in the defence of professional negligence claims. 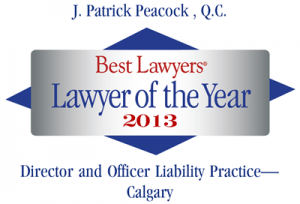 He has lectured in Alberta and throughout Canada on the law of professional liability and professional liability claims. Pat also has extensive experience in domestic and international arbitration matters, having participated as counsel and arbitrator in commercial and labour matters. He also acts regularly as an arbitrator and mediator in the resolution of litigation in all areas. Member – Organizing Committee Alberta Branch Mid-Winter Meetings 1974, 76, 78 and 80.